By building browsers with integrated ad blocking, German company Eyeo hopes to attract more users. A beta version of the Android browser is now available for download from the Play store. There are several reasons people choose to block ads: They can cause pages to load slower, consume data plans, and shorten battery life, according to Eyeo. The company also contends users are safer since malware often hides behind ads. The Adblock Browser for Android is based on Firefox and Adblock Plus. The functionality is the same as when using the existing Adblock Plus add-on. The reason for developing browsers with ad blocking baked in is that the add-on hasn't attracted many users. By integrating the functionality, it becomes easier for non-tech savvy users to benefit from it, according to Ben Williams, communications and operations manager at Eyeo. 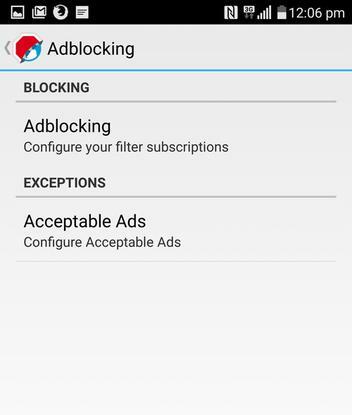 Users can choose to block all ads, or just allow so-called acceptable ads. To qualify as acceptable, ads can't be placed in the middle of a text or obscure page content. So, requiring users to click on a button to close the ad before viewing the page is a no-no. The browser doesn't include protection against tracking or malware, but that will be added before the final version is released in July or August, the company said. Installed on a G4 smartphone from LG Electronics, the browser performs well even though its just a beta, and ads are nowhere to be seen. The user interface is the same as on the regular Firefox version, with ad blocking added to the settings. Eyeo is also working on an iOS version of the browser, which it hopes to make available during the third quarter. "Developing on iOS is new and a little more difficult for us. But we are well on our way," Williams said. Would-be users can obtain the beta version through the Adblock Browser beta Google+ community and Google Play. Eyeo is keen on getting as much feedback as possible from users to help improve functionality and performance, according to Williams.